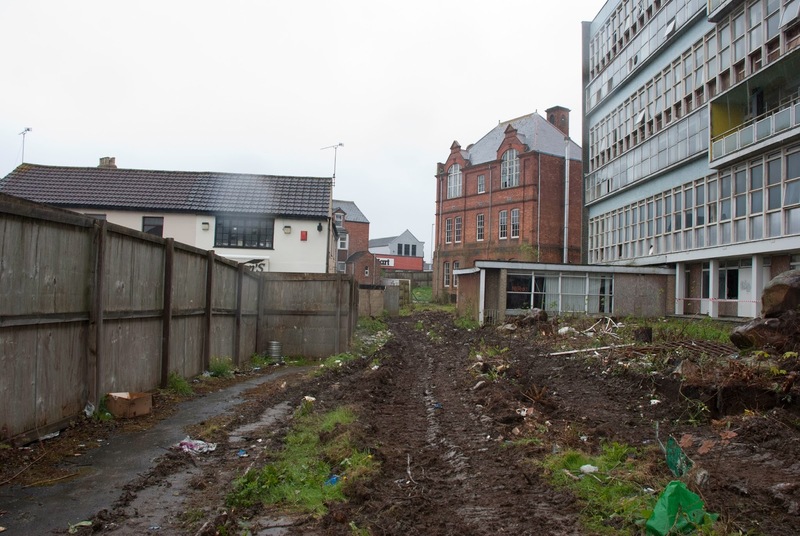 When Ed Howell and I photographed the demolition of Swindon College at Regent Circus, we didn't expect to find an entire street hidden on the site. 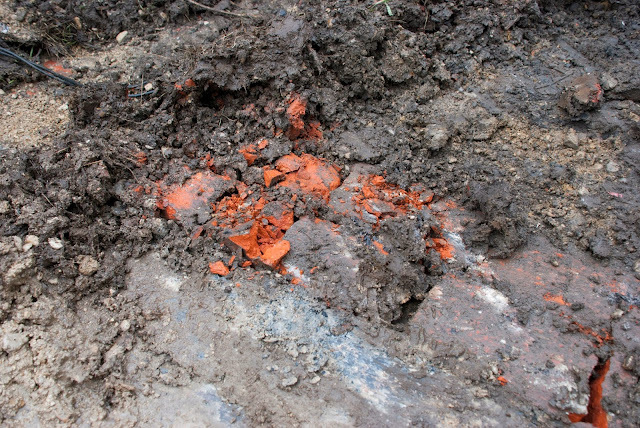 As we walked on a soaking wet day around the front of the site, passed the flat roof library, at the back of Byron Street, the mud had been churned up by the bulldozers. 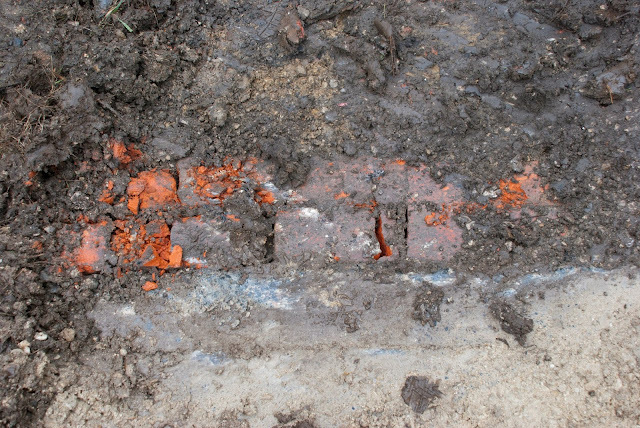 They'd scraped away the top layer of soil and just a few inches under the surface was the brickwork of the houses of the now (nearly entirely) lost Byron Street. The flat-roofed library building, which the original line of Byron street went through from left to right. The double-brickwork of houses from the 1960s-demolished Byron Street. Byron Street now exists as a small stub at Regent Circus, but the original street went north to south through the former Swindon College site. How Byron Street use to look in 1957. This is looking south towards Old Town. For more details on the photograph above, visit the Swindon Local Flickr account here.